A £1.8Million regeneration scheme to create a new Public Park in King's Lynn, Norfolk. The scheme tackled contaminated ground remediation and design of all hard and soft landscape elements, to include rectification of defects during the contract. 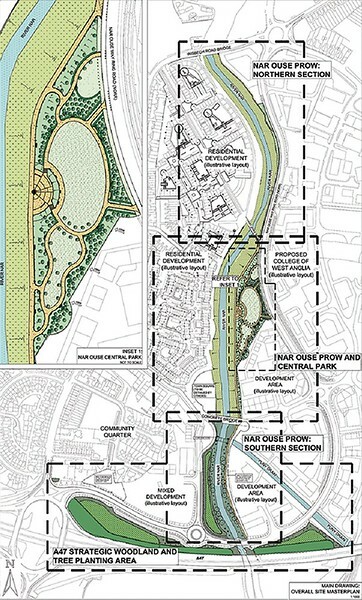 ELD masterplan for the NORA site, leading from the Marina in the north, to the A47 in the South, with the Park central to the River Nar Footpath.